The field of golfers lining up for this week’s Keperra Bowl will be one of the best seen at a Queensland tournament this year. The current Australian Amateur Champion and Golf Australia Squad Member Matt Steiger will tee up alongside Queensland draw card and fellow Squad Member Cameron Smith in the opening round today at the Keperra Country Golf Club. The list of Australian champions continues with the Australian Men’s Foursomes winners Dimi Papadatos (NSW) and Kevin Marques (QLD) also in the draw. 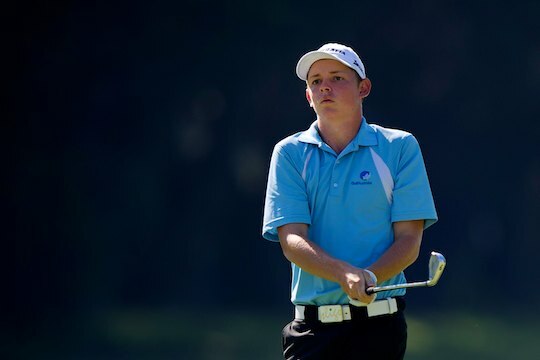 The recent Golf SA Amateur Classic winner Brett Drewitt is also set to line up. Drewitt is a Golf Australia and New South Wales team member and was last year’s Queensland Amateur champion. The event comes on the back of two of Queensland’s premium men’s tournaments on the calendar – the Men’s Stroke Play, this year won by Daniel McGraw, and the Men’s Amateur Championship currently being played at Arundel Hills Golf & Country Club. McGraw will also line up against a strong field that includes fellow semi-finalists from this week’s Queensland Amateur Cameron Smith, Jake Higginbottom and Tim Hart. Higginbottom will be joined in representing New South Wales by fellow 2011 Junior Interstate Series winning team member Jarrod Freeman. Tasmania will be represented by Ryan McCarthy, who is currently sitting second on the Golf Australia Rankings and is returning from a long stint on the sidelines following a back injury. Rounding out the long list of talent in the field will be Blake McGrory, a Queensland State Men’s team member who finished third at last year’s Keperra Bowl.